I have one more recipe for you guys just in time for the Super Bowl! 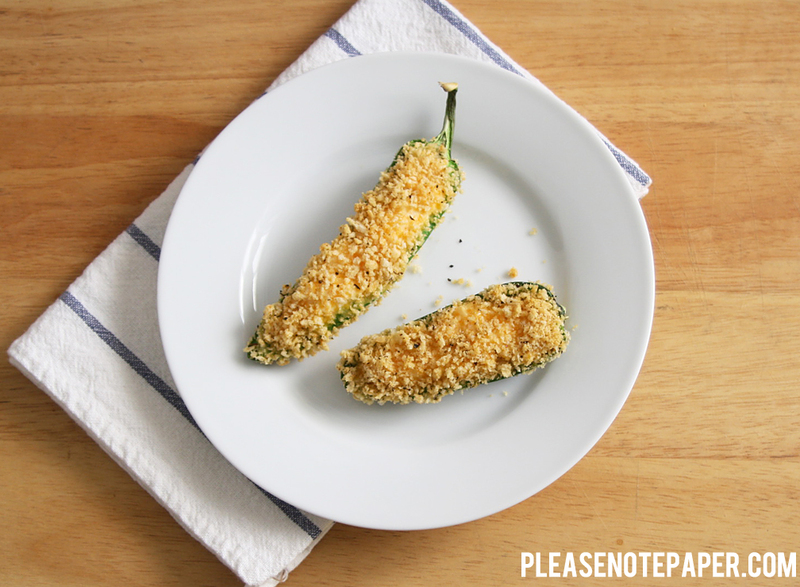 These baked jalapeno poppers are simple and absolutely delicious. 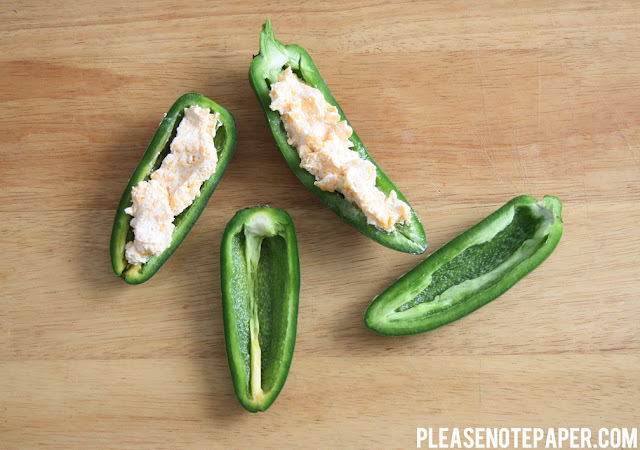 Begin by combining the cream cheese and the cheddar cheese. 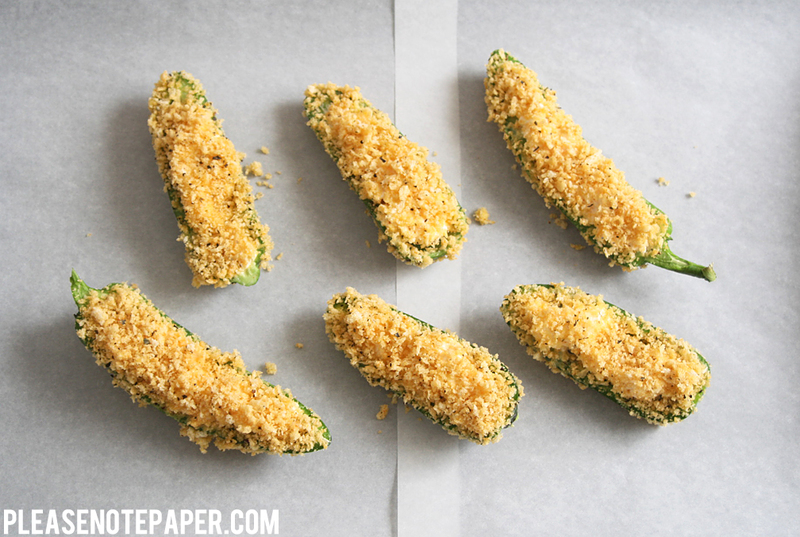 Wash and slice each jalapeno lengthwise. 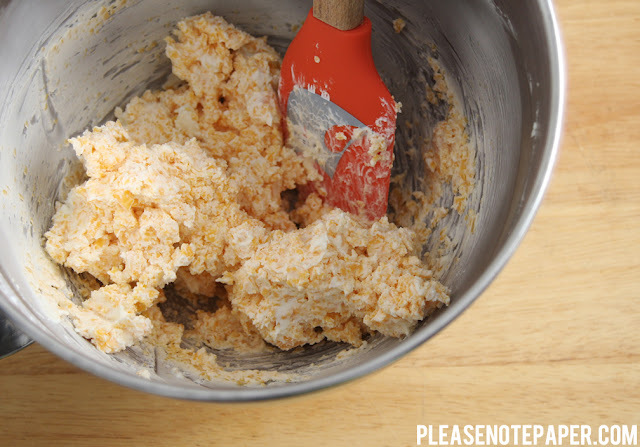 Remove the seeds and fill with a little bit of the cheese mixture. Combine the egg, cream, salt, garlic powder, and paprika. 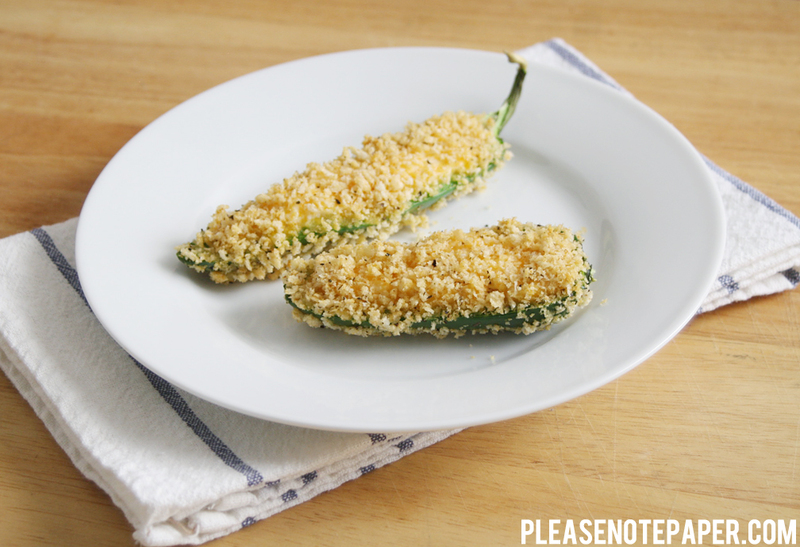 Dip each filled pepper into the egg mixture and then into the breadcrumbs. Bake for about 30 minutes and enjoy with a nice cold beer! Good idea! 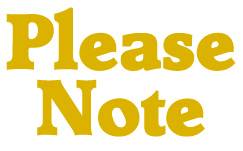 I have some of the cheese mixture leftover. I might add it to potatoes! At my work we cook chicken breast and bacon, then put them in a food processor to grind them up. Then mix that with cream cheese and cheddar cheese. Topped with chives. Ooh this looks truly yummy, can just imagine the different textures being such a good hit for a snack! Need to look out for jalapeno peppers like that, not sure if I've seen them in the shops?! Thanks for the recipe! I'm thinking of making this recipe for a potluck. Do you think they could be served at room temperature if cooked about 4-5 hours before serving?